Mobile traffic is on the rise, but nearly a quarter of UK retailers are still not offering websites that are optimized for these devices. In fact, a recent study from commerce solutions provider Skava reveals that even though mobile traffic accounts for almost 20 percent of all e-commerce traffic, 24 percent of the top 100 UK retailers do not have mobile-optimized websites. That said, the number of UK retailers who are embracing m-commerce has increased since 2013, when 50 percent of the UK’s top 100 online retailers did not offer a website optimized for mobile devices. 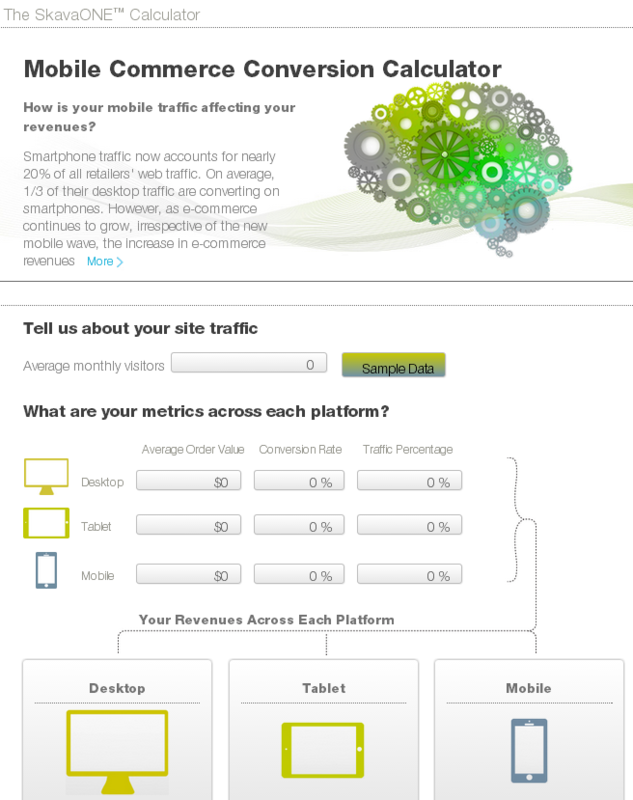 Comparatively, Skava reports that 100 percent of the top US retailers have mobile-optimized sites. One way retailers can discover how much revenue they are missing out on with the SkavaOne Calculator. This tool uses a retailer’s average order value (AOV), traffic and conversion rates from all platforms to calculate the financial impact for retailers with under-performing mobile commerce experiences.